Whether you're promoting your brand or showing appreciation to customers or employees, we can help you choose the perfect custom products to get the job done on time and on budget. Need Help with Your Promo Products? 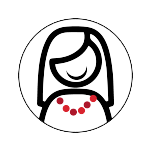 Get the perfect product customized just the way you need it. 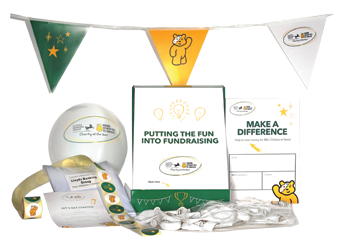 Why Do You Need Promotional Items? We can create completely customized (bespoke) products for your brand or provide you with the freshest and most innovative stock (off-the-shelf) premiums that will present your business in a wonderful way. Employee gifts are a perfect way for an employer to say, "I appreciate you." Whether this is for a holiday, employee anniversary, or "just because," we can help you find the perfect gift to fit the occasion. We're here to make your selection process as quick and easy as possible--just ask us! Client gifts are an essential part of doing business when you're a service provider. Whether these are long-standing or prospective clients, the gift that you are giving should be memorable and meaningful. This is what we thrive on and are great at. Look no further than here for your next client gift! 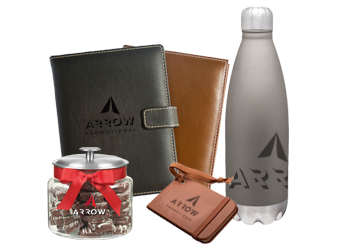 Whether it be a run/walk, golf outing, gala, corporate sales meeting, conference and beyond, we can provide you with the perfect event giveaways. These can be goodie bag swag or special event attendee giveaways. We provide customers with these products all day, every day -- our clients range from not-for-profit organizations to Fortune 500 companies. We've got you covered! Business initiatives often require a giveaway of some sort. 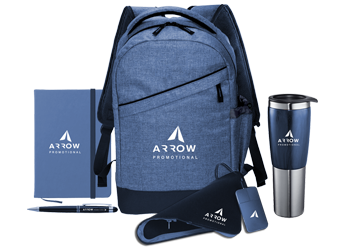 You want these giveaways done right, done fast and done seamlessly within your budget, while presenting your business in a wonderful way. These initiatives can include sales campaigns, product launches, charitable efforts and much more! 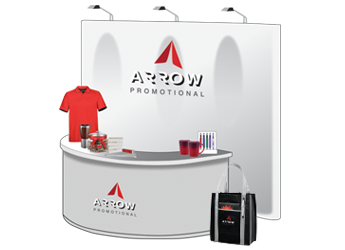 Tradeshow promotional giveaways should make your brand stand out. These events offer you a small window of time to make a big impression on attendees. 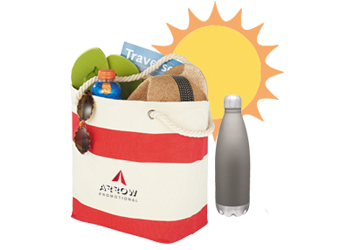 Arrow makes finding the right items easy for you! 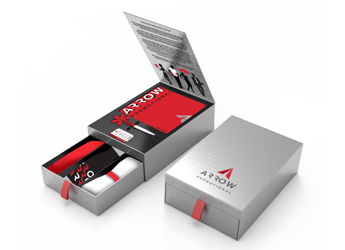 "Working with Arrow has been a great experience. They not only meet our tight deadlines with quality product, but have served as an integral part in the creative process as well!" Choosing the right custom product for a promotion is an overwhelming experience. There are literally thousands of options in drastically different price ranges and they all have different turnaround times.